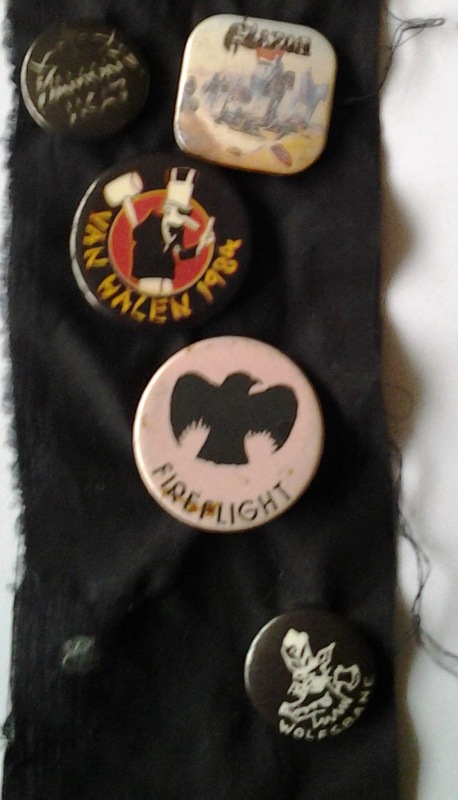 As it's a Wordless Wednesday post I thought I might comment to explain ... these are badges from 1977 ish to 1984 ish from the concerts I went to. I used to display them on my bedroom wall on the long black strip of cloth you can see. 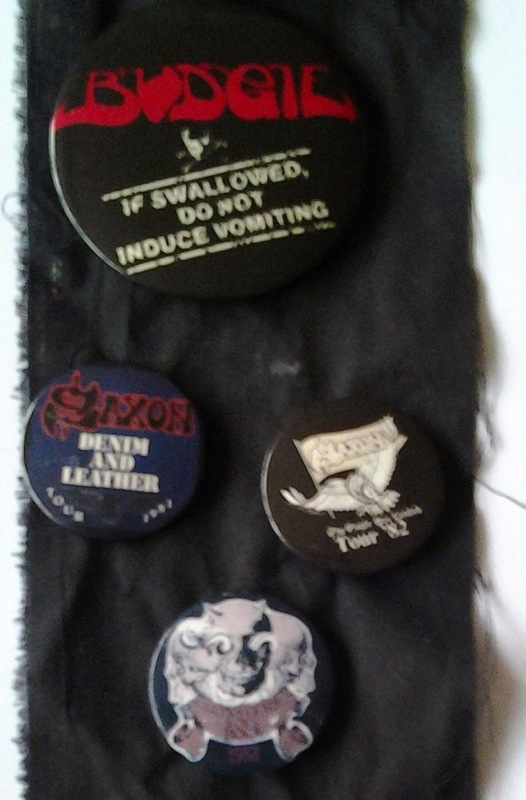 Each time I went to a concert I added another badge in chronological order. The badges got smaller and more expensive and then I stopped going to concerts (mostly) when I married. So it's a bit like a journal - of eight or nine years of my life. Well I thought it was a good idea when I found them in the loft at the weekend!